WOW ! 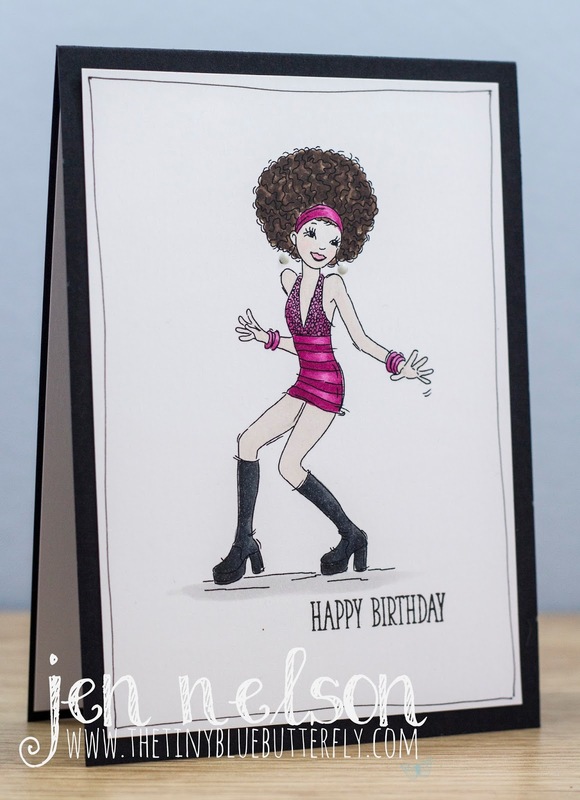 A trendy card for young ladies ! Love her dress which I'm sure shimmers on the dancing floor ! And these earrings are the perfect ones ! Enjoy your WE and good luck for your work ! Thanks for sharing and for inspiring. What a fun image. Great card. Love the colour combo. Wow, what a fun card. Terrific way to interpret the theme. So fun! What a fun image for this weeks recipe!!! The lady in hot pink looks so cool on that black card base! A fun card Jen and reminds me of my dancing days back in the 70s! !